Bring your family and meet up with friends at Sunbird Saturday! On Saturday, September 29th, the parking lot to the north of the soccer field will be full of a yummy BBQ and fun activities--bounce houses, face paining, balloon animals, carnival games, etc.). 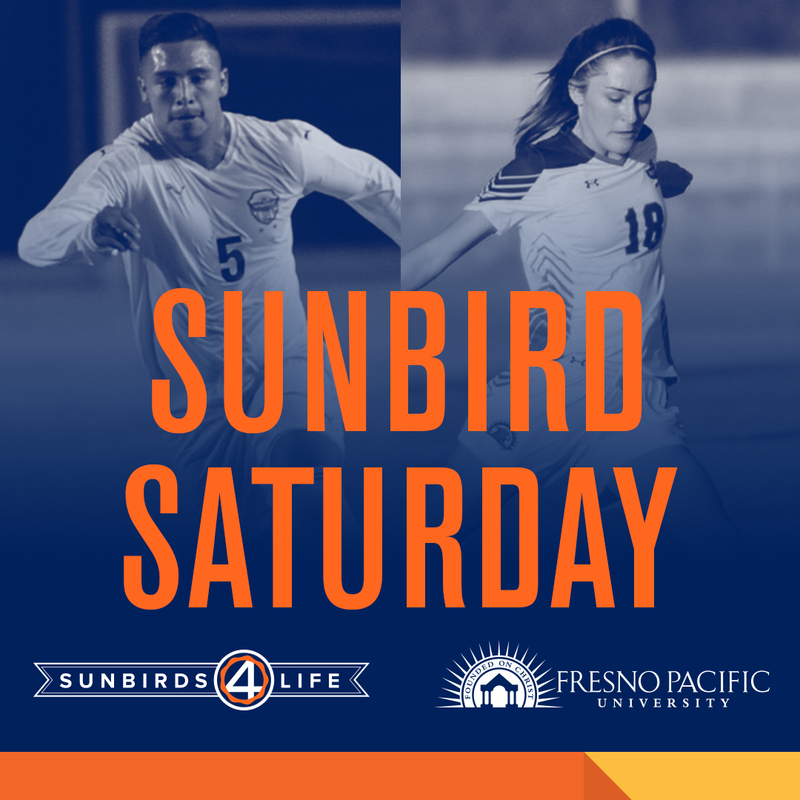 Admission to the Sunbird soccer games and activities will be FREE and the BBQ is only $7 (Kids 5 and under are free.) Buy your BBQ ticket early and be included in a drawing for Sunbird/FPU/alumni stuff! Tickets may be purchased online at fresno.edu/sunbirdsaturday or at the event. See you there!